Stress management is a phrase I’m sure you have all heard before but may not have realised its significance to your health. When approaching health holistically, managing stress is vital in the proper treatment and management of your digestive health concerns. To help further the work you are doing to help your digestion and honour the investment you have made in testing and treatments, I want to share with you the importance of bettering your mental and emotional well being. Stress is anything that is a threat to staying in balance (homeostasis). A threat can be real (i.e. physical stress including temperature change, trauma from a car accident or breaking a bone) or perceived (i.e. psychological stress such as relationship issues, running late and feeling busy). Stress causes our body to carry out a response that helps with adaptation and survival. 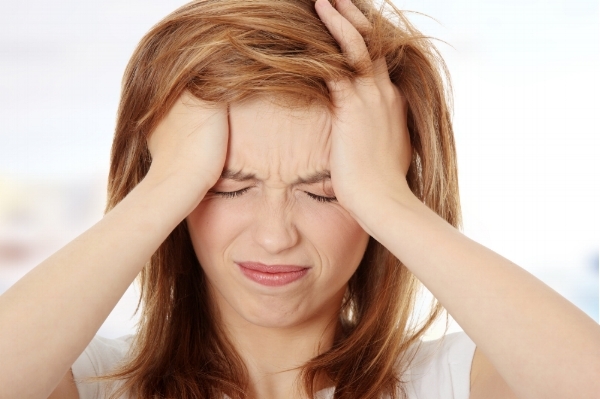 However frequent, chronic or excessive stress may lead to disease (1, 2). Sympathetic nervous system, which prepares your body for physical and mental activity. It makes your heart beat faster and stronger, opens your airways so you can breathe more easily, and inhibits digestion. This is also the nervous system we fall into when we are in a state of stress, anxiety, fear or overwhelm. Parasympathetic nervous system is responsible for bodily functions when we are at rest (sleep, meditation etc.) It stimulates digestion, increases digestive juices, relaxes muscles in the gastrointestinal tract, activates various metabolic processes and helps us to relax (3). Your enteric nervous system (the nervous system in your gut) is also part of the ANS and is connected to the central nervous system (brain and spinal cord) by the sympathetic and the parasympathetic pathways, forming the brain–gut axis (1, 4). Feeling of stress, anxiety, overwhelm and worry mean that our bodies’ are working in a sympathetic state (fight and flight) rather parasympathetic state (rest and digest). When these feelings are in excess it may not just be your mind that suffers, but also your gut. There are several ways by which stress can alter your bacteria, including changes in gut cell function, mucus secretion and changes to digestive muscle contractions. Noradrenaline, a neurotransmitter secreted in stress, has been shown to stimulate the growth of pathogenic ‘bad’ and non-pathogenic ‘good’ Escherichia coli and influences their adherence to the gut wall (5). It is not completely understood, but a change breathing (which occurs when we are stressed) may contribute to GORD by altering the valve between the stomach and the oesophagus, increasing oesophageal sensitivity, and slow stomach emptying (1). People with indigestion experience a poor stomach response to meals (due to lack of enzymes and secretions), post-meal discomfort, prolonged feeling of fullness and an increase in intestinal muscle contractions. These unideal digestive changes have been linked to signals received from the sympathetic nervous system (1). Imbalance between the sympathetic and parasympathetic has been reported in patients with IBD. For example, depression has been connected with Crohn's Disease and stress in Ulcerative Colitis. Animal studies show that stress exacerbates colitis and that depression increases susceptibility to inflammatory triggers (1, 5). Stress is factor known to predispose individuals to IBS and is also known to alter the bacterial composition. Patients with IBS have an increased response to stress, and stress is also a predictor of IBS as well as a determinant of symptom severity (5). Psychological stressor increases small intestinal permeability. Hormones secreted in a state of stress influence different receptors and immune responses and can cause changes to the gut barrier and function(6). There are endless ways you can start to manage stress, anxiety and overwhelm in your life. These include breathing exercises, music, meditation and exercise - countless phone apps can support these practices. Explore, find what works for you and make a regular practice of it. Here’s to a happy mind and a happy gut!